Heart health: Cows which are fed with grass have high amounts of omega – 3 fats in the milk. This element can depend from the variety of cow but still there are many health benefits for the different types of milk. Omega – 3 fatty acids are known as the good cholesterol when they are consumed in the body. This can help you to have healthy heart which means that your chances of getting strokes and heart attacks are reduced. Immune system: It has high amounts of Vitamin E, zinc, protein, calcium and selenium which are antioxidant components in it. When our body is attacked by the free radicals, then they can mutate the normal cells in the body which can lead to serious diseases. 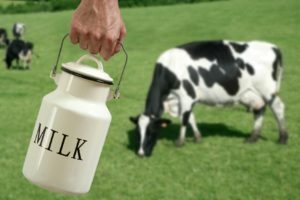 People who have cancer should use milk from the grass – fed cows. Also this kind of cow milk can help them to lower the chance of getting coronary heart disease. Also when you drink cow milk you have healthy skin which looks younger. Growth and development: There are different types of protein which we need for the normal growth and development of our body. This kind of milk has proteins which can help in the natural development and in the production of the energy. When someone has children it is very important for them to drink cow milk on regular base. Mentally and physically development are supported by this kind of milk because it has many nutrients which can boost these processes. 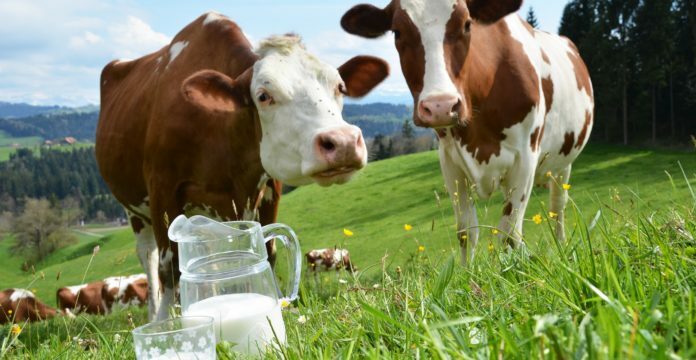 Inflammatory issues: If you have burns on your skin or you suffer from respiratory distress, arthritis and gout, then you can use cow milk as your natural remedy. It has antioxidant minerals, animal proteins and omega – 3 fatty acids which are making it perfect anti – inflammatory substance. If you have stomach inflammation, then you should drink this milk because it will soothe your stomach inflammation. Also this kind of milk will help you to improve the absorption and digestion of the nutrients. Weight loss: If you want to lose your weight, then you should drink cow milk. When you drink cow milk, then you have feeling that you are full. This is possible because it has high levels of protein. Also it has small amount of calories. It can boost the metabolism which means that it can boost our energy. When we do more activities and when we have higher metabolism, then this can help us to lose our weight. Prevent diabetes: When you consume milk on a regular basis, then this can help you to have normal blood sugar levels in your body. Also it has high amounts of essential minerals and Vitamin B. This means that the food can be processed normally; our metabolism can run smoothly which means that the insulin and glucose levels in our body will be normal. When you have normal blood sugar levels in your body, then this means that you are protected from diabetes. This can be achieved by drinking pure cow milk regularly. What a load of absolute bullsh*t, casein from cows milk stimulates cancer growth, the saturated fat content increases your risk of diabetes, heart attacks, strokes, arthritis and inflammation. Bore off dairy industry. People wise up…cows milk is to grow a baby calf into a massive cow, how that helps a human lose weight is beyond me. Makes no sense at all and eventually people will wise up from this kind of misdirecting crap.